Founders House Publishing LLC, 9780692343951, 302pp. 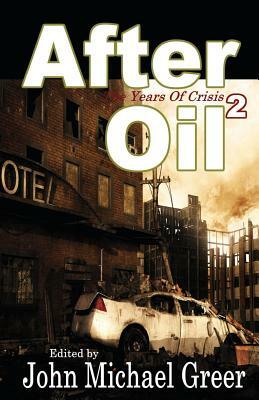 John Michael Greer, author and host of the popular weekly peak oil blog, "The Archdruid Report," returns with another collection of twelve tales from the post oil future. As Industrial civilization staggers beneath its myriad dysfunctions, ordinary people endure the long, slow descent that shapes the years of crisis. The old world passes away and a new age takes shape. John Michael Greer is the author of more than thirty books, including four books on peak oil and two science fiction novels, "The Fires of Shalsha" and "Star's Reach," as well as the weekly peak oil blog The Archdruid Report. A native of the Pacific Northwest, he now lives in an old red brick mill town in the north central Appalachians with his wife Sara.